Real estate and stock market investments each have so many unique pros and cons that it can be difficult for new investors to know which of these avenues to choose. Both are relatively reliable long-term bets. It’s sometimes assumed that you need a lot of real estate knowledge to successfully profit from this market, but that’s not necessarily the case. If you can get a reliable agent and an experienced brokerage on your team, you’ll be in a great position to effortlessly pick and maintain some profitable real estate investments. Here are five reasons to choose real estate over the stock market. 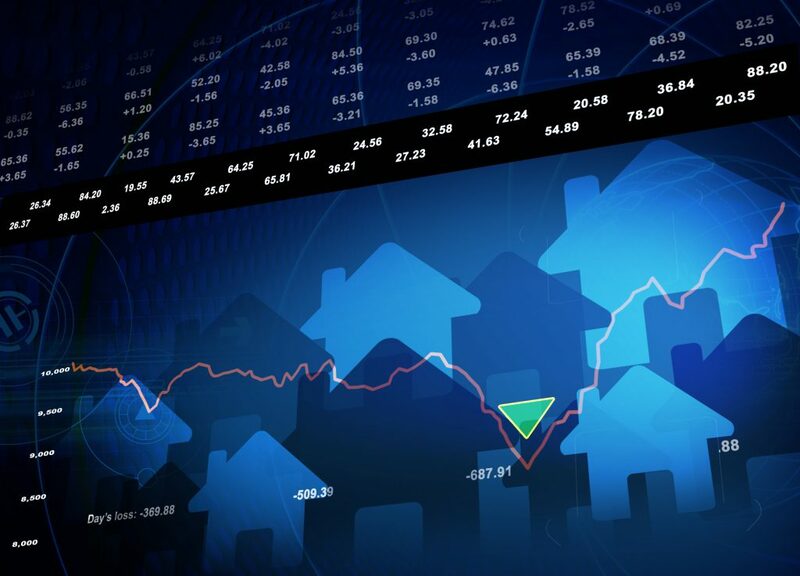 The housing market is typically more predictable than the stock market. There are many signs that house prices are likely to grow in a specific region, which seasoned investors spot and take advantage of. Gentrification, via the arrival of up-market retailers, cafes, bars, and restaurants, is another tell-tale sign of future house price growth. It’s simple enough to pick out the next up-and-coming area because gentrification often spreads from a town’s core and moves outwards. As demand for property in that area increases, prices rise. The signs of a profitable business are less clear cut, as there are more obstacles which can stop it from thriving. As well as identifying profitable areas, an experienced investor can develop a reliable nose for profitable properties. One of the easiest ways to do this is to invest in properties that are in a state of disrepair. In fact, there are many professionals who make a good living out of buying under-developed or run-down properties, completing the repair work, then selling them for a profit. Once you get a sense for how much it will cost to upgrade a property and how much the other properties in the area sell for, it’s simple enough to make smart investment decisions. It’s not as if you have to spend your own time looking for damaged buildings or signs of gentrification either. If you have a good property investment broker working for you like New Western Acquisitions, they’ll be able to tip you off when a bargain goes up for sale. It’s been statistically proven that the real estate market is typically less volatile than the stock market in the short-term. The stock market is very sensitive to the performance of local economies and currencies. Property prices are affected by these factors too, but not as dramatically or quickly as what can occur with the prices of stocks and shares. Commonly-cited reasons to avoid real estate investment include troublesome tenants, maintenance, repairs, rent arrears, and void periods. However, if you hire a reliable leasing agency, you’ll barely have to worry about any of these downsides yourself. The agent will take care of all these issues for a monthly fee, so you can relax and pick up the remaining profits. Some landlords actually enjoy being more hands-on with the property and their tenants though, so it’s not necessarily a stressful task, especially once you can find trustworthy long-term tenants. The beauty of investing in real estate is ability to choose your level of involvement. Many real estate investors like pumping money into physical assets they can actually see. It’s a comfortable psychological barrier for them. Many believe they’re less likely to be scammed when investing in property, as they can inspect it themselves. With stocks and shares investing, you have to rely on written details a lot more. Perhaps the biggest bonus of investing in residential property is that you can move into it one day. Why not buy that holiday home now, then have the option to retire there in a few decades? As with any investment, real estate provides risks. You shouldn’t put any money into a property without investigating it yourself, and you should be comfortable in the knowledge that house prices can drop as well as increase.